An easy to wear pair of hook drop earrings, styled in a delicate twist with diamond cut detail and crafted in contrasting 9ct gold and fresh rhodium plate. Add a sophisticated finishing touch to your outfit. 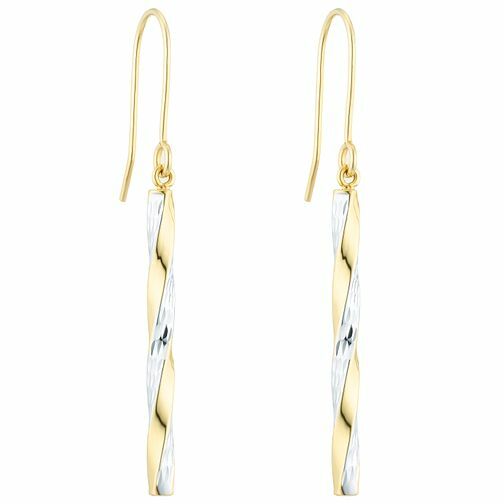 9ct Gold 2 Colour Diamond Cut Twist Drop Earrings is rated 5.0 out of 5 by 2. Rated 5 out of 5 by Anonymous from Lovely design of earring These earrings look just as good as the picture! Great modern design and quality.